Exit the station using the main entrance and then turn left onto Buckingham Palace Road. Walk along until you see the Ecclestone Street, where you turn right. Ebury Street is the second street on your left and we are located about half way down the street on the left. Ebury Street is a one way street, running in a North East direction and runs parallel with two main roads: Pimlico Road / Buckingham Palace Road and Eaton Sqaure. 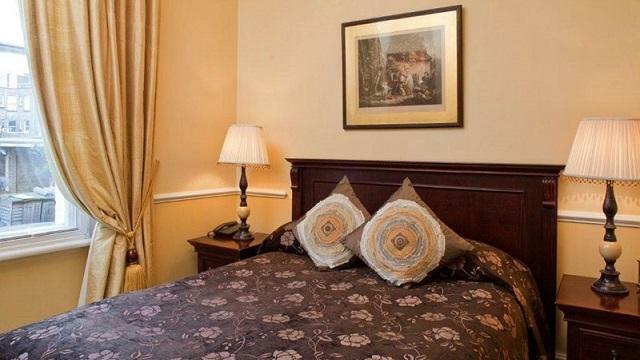 The Lord Milner is located in the block in-between Eccleston Street and Elizabeth Street. Approaching from Eaton Square, turm onto Elizabeth Street and then left in Ebury Street. Approaching from Pimlico Road / Buckingham Palace Road, turn into Semley Place and then right into Ebury Street.